Welcome to the dopest yoga celebration at the shore! 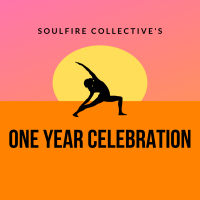 Come sweat, connect, and transform, as SoulFire celebrates 1 year! Join us for a 60 minute DJ yoga flow, followed by unlimited cocktails + connection, with the best sunset in the area as your backdrop.